Eira (179 auctions), Boroondara (162 auctions), Kingston (156 auctions) and Stonnington (153 auctions) had the highest number of auctions in February 2017, with all but Glen Eira reporting a clearance rate of over 80 per cent. There were about 39,200 auctions held in Victoria in the last 12 months with 75.6 per cent selling. The middle Melbourne region recorded the highest number of properties sold by auction in the past 12 months, with around 11,950 sales, and a clearance rate of 77.8 per cent. while the median rent for units in regional Victoria fell by ten dollars to $250 per week. The REIV House Price Index (HPI) for Melbourne rose 1.0 per cent over February to 192.9, and the index is currently 4.4 per cent higher than its value a year ago. The HPI for regional Victoria is 2.9 per cent higher than its value a year ago, now at 141.4. There were an estimated 10,070 house and unit sales transacted in Victoria in February 2017, and about 127,700 sales in the past 12 months. Based on these estimates, the share of auctions sold as a percentage of overall sales was 23.2 per cent in the past 12 months. A clearance rate of 82 per cent was recorded this week compared to 76 per cent last week and 76 per cent this week last year. There were 901 auctions reported to the REIV, with 743 selling and 158 being passed in, 56 of those on a vendor bid. Another auction record is set to fall this year with the highest number of auction sales ever for the month of April. 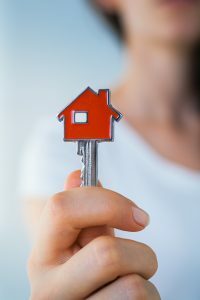 There are many changes taking place in the real estate industry in Victoria, many of which are still under review to take affect such as changes to the Sale of Land Act and Residential Tenancies Act. One of the major changes which have taken affect as new legislation reforms relating to the Estate Agents Act 1980 as of this month 1st of May 2017, are the changes relating to laws of underquoting with the sale of real estate in Victoria. This change is aimed toward making the guidance and indicative selling price range expressed to the buying public and vendors by real estate sales agents is reasonable, comparable and not misleading or deceptive. This change will hopefully separate the experienced and professional sales agents from the agents which may require further training and continued professional development as well as provide transparency and a better indication of guidance for buyers to pursue the property within a realistic competitive range for their acquisition. Over the next few months the market will be rigorously assessed by the Victorian Government, Consumer Affairs, buyers, sellers and agents to quantify how successful the implementation of these changes have been toward a positive improvement in the Victorian Real Estate Industry and reputation of the real estate profession. Watch this space. New underquoting laws designed to increase price transparency for homebuyers commenced on 1 May. 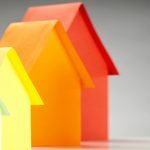 The reforms to the Estate Agents Act 1980 include new requirements for how estate agents estimate and advertise selling prices, and ensure prospective buyers are given information about the most comparable property sales. The new laws will see buyers better informed, with prices more transparent. Estate agents found guilty of underquoting may face penalties including fines of more than $31,000 and the potential loss of sales commissions. A key component of the new legislation is the introduction of the Statement of Information, which requires agents to provide an indicative selling price, and the selling price, of three comparable properties, taking into account the standard and condition, location and date of sale. The Statement of Information must be displayed at open inspections; with any internet advertisement; and be provided within two business days on request. The indicative selling price in the Statement of Information must not be below the agent’s estimate, seller’s asking price, or the amount of a written offer that is rejected because it is too low the indicative selling price and advertised price on a property must be a single price or a price range of up to 10 per cent the use of qualifying words and symbols such as “offers above”, “from” or “plus” when advertising a property price is prohibited agents will be required to update advertising, if a higher written offer is rejected by the seller based on price, within one business day for internet advertising and as soon as practical for print advertising Consumer Affairs Victoria will have strengthened powers to issue substantiation notices that require agents to justify their price estimates and comparable properties chosen. visit the Consumer Affairs Victoria Understanding underquoting page. At its May meeting, the Reserve Bank of Australia chose to keep the official cash rate on hold at 1.5 per cent. Interest rates remain low, so it’s still a great time to invest in property or to purchase a home! Despite some lenders raising interest rates on both owner-occupier and investment loans in recent months, interest-only and investor loans remain cheaper than a year ago. The debate about housing affordability, negative gearing, capital gains tax discounts and borrowing through Self-Managed Super Funds has dominated the news in recent months, and it will be interesting to see what the federal budget holds next week. 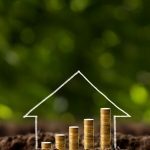 Interest rates are really on the move outside of the RBA’s decision, so now more than ever is the time to seek expert advice about your home loan or investment property. Master Advocates are able to recommend tried and tested financial service professionals such as Accountants, Financial Planners and Mortgage Brokers who can provide personal independent consultations upon request. Feel welcome to contact Mark today to discuss the real estate market or your personal buying criteria and investment portfolio management needs. Initial consultations are complimentary. I’m proud to be a REBAA (Real Estate Buyers Agents Association of Australia) Accredited Member VIC. Here are some of my comments shared on “What Should a Good Buyer’s Agent Do?” at the REBAA AGM & National Conference hosted in Melbourne. Michelle Errichiello, Australian Paralympian and Master Advocates Co-Founder is the driving force of strength and determination behind our vision and values: Here is a short video from February 2017 when Michelle shared a special thank you to all of the special people in her life who have inspired and supported her on her amazing life journey and achievements during the past decade and the path we value and enjoy with our Master Advocates friends and family today.